Helen’s daughter, Ava, was seven years old when she experienced her first Honeycomb project in 2015 at Indian Road Woods, working together towards local conservation efforts. Since then, Helen and Ava have volunteered more than ten times for Honeycomb and values each experience. Helen feels that because of Honeycomb, youth will learn to be accountable for not only Chicago issues, but global issues. 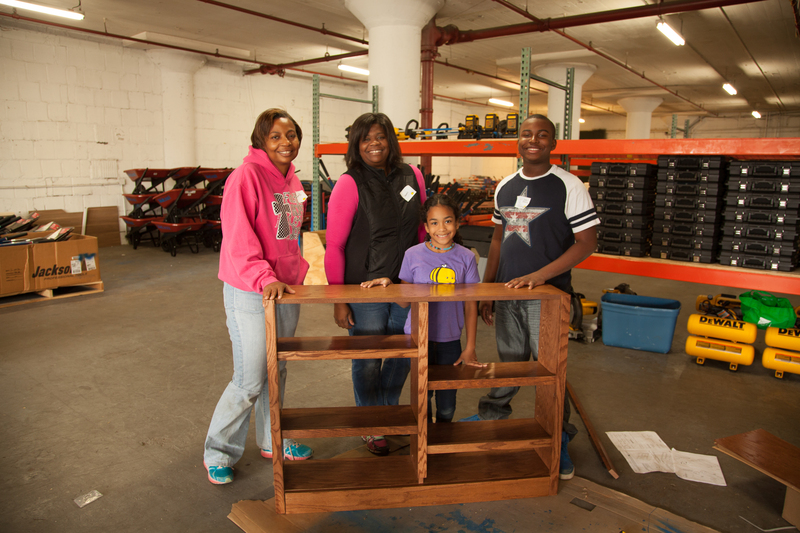 “I want to raise really conscious citizens” – says Helen, “not only on school and academics…but to grow up and be a socially and globally conscious person.” The family feels volunteering helps not only Chicago communities, but the greater good. The family also appreciates how Honeycomb has such diversity in volunteer projects and allows families to explore other Chicago neighborhoods outside of their own. From joining Honeycomb on the shores of Lake Michigan for the 63rd Street Beach clean up, to baking cookies for families at the Ronald McDonald house downtown, the Dixon family travels near and far to make lasting impacts. One of Ava’s most memorable experiences was helping shelter animals at the Anti-Cruelty Society. In addition to handcrafting toys for cats and dogs, Ava toured the shelter facilities and truly saw the influence she was making in the lives of these animals. And in the busy world of today and the constant pulling in different directions, volunteering through Honeycomb also provides bonding time between mom and daughter. The Dixon family resides on the South Side of Chicago and appreciates being able to connect with families in different neighborhoods through Honeycomb programs.Helen has a career in education management and policy organization. Ava, aside from volunteering and being a straight-A student, enjoys gymnastics and dance…she especially loves cheerleading! Ava’s younger brother, Alec loves rough housing with his sister and likes Curious George and finger painting.